It has been said that I am the Queen of Procrastination. My usual method is baking. 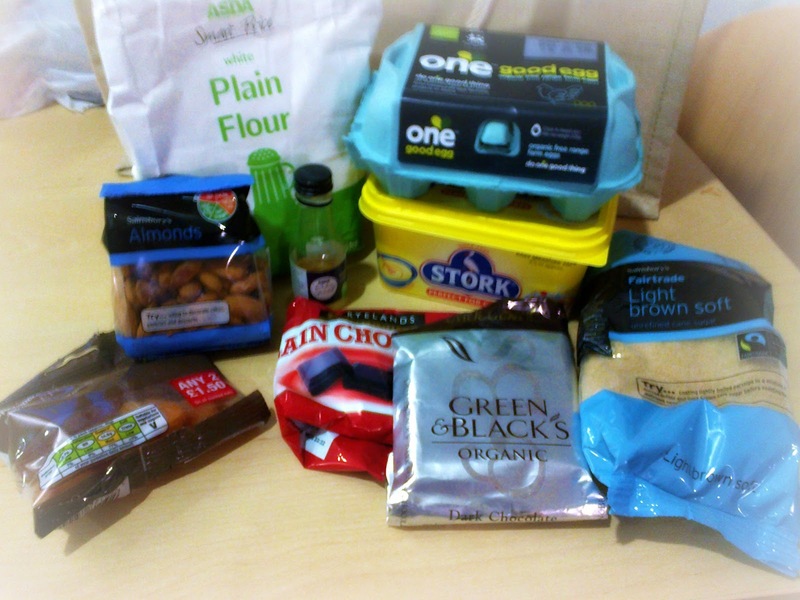 However, today I believe I may have surpassed myself by then blogging about said baking! 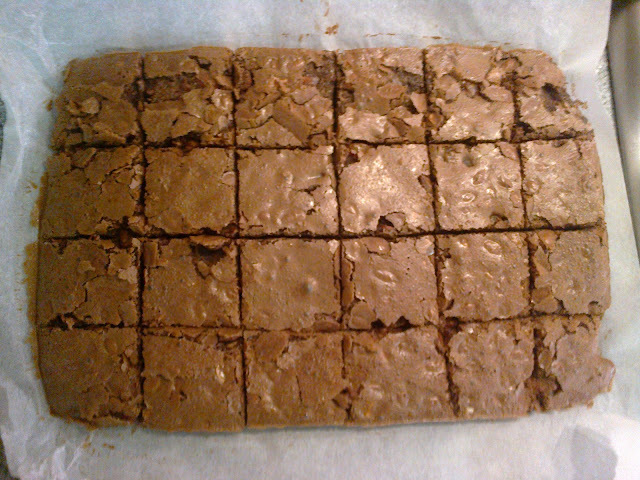 On the procrastination menu today - brownies! Apricot and Almond Brownies - adapted from Gifts from the Kitchen. Preheat oven to 170C/325F/gas mark 3 and line a tin with baking parchment. (The book suggests using a 23cm square tin). Warm the Marsala/brandy/rum in a small pan and add the apricots and leave to soak for 10 minutes. Toast the almonds for 5 minutes and once cool, roughly chop. Whisk eggs and sugar. Add vanilla and melted chocolate. Sift in flour and fold in the nuts and apricots. Pour the mixture into the prepared tin and bake for 25 minutes or until the top has formed a crust but the underneath is still soft (mine needed a little longer). Cool in the tin and then cut into squares. I really am very impressed with the recipes from Gifts from the Kitchen so far. These brownies are exactly how they should be; crispy and gooey! I think next time I make these I'll add in cherries and maybe chocolate chips too. I'm planning on attempting the Macarons next (I picked up the food colouring especially earlier today)! I am a little nervous though as I've tried them before and they didn't quite work out right. This is a slightly different recipe however, so fingers crossed!